Whenever you think about blinds, the first thing that comes to mind is window treatments you put up in the living room and bedroom to address privacy needs as well as aesthetics and energy-efficiency. 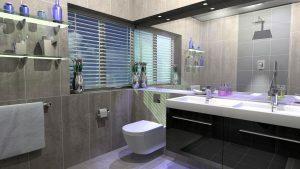 But what most homeowners do not realise is that blinds are an ideal solution in improving your bathroom space, too. It is true that when you put in the money to renovate or remodel your bathroom, you don’t think about making it look great. The usual objective of a bathroom renovation project is to make it feel more comfortable and spacious. Well, adding window blinds Adelaide might give you that. But the thing is not all blinds are ideal for a bathroom installation. The fact that the place is humid and wet means you should think of practicality on top of all other factors. You must look for something that’s easy to handle and operate when your hands are wet. You only must choose a type of window blinds that is moisture resistant. Furthermore, focus on shopping for blinds intended for your bathroom windows which are convenient to clean and won’t allow the likes of mould and mildew to stick to it. You cannot put the same variety you have in your living room windows because it could mean giving you a hard time when it comes to cleaning and maintenance. Remember that window blinds intended for bedrooms and living rooms are usually made from a material that’s not ideal for rooms with high humidity levels and with the presence of water. 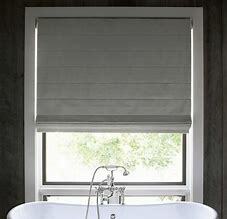 Since the bathroom is dominated by water and moisture, it makes no sense to use blinds made from thick fabrics. Accordingly, curtains and drapes are no good either. The use of thick fabric is impractical and tasteless at the same time since you have small windows in the bathroom compared to the other rooms. Therefore, the use of thick materials as a window treatment is excessive. But it does not mean you should completely rule out fabric as a material for your bathroom blinds Adelaide. You still can go for those varieties with acrylic in them. The reason is that acrylic has less absorptive properties, making it easier to clean them than conventional thick fabric material. Furthermore, blinds made from wood are a practical option for transforming your bathroom space into something creative and comfortable at the same time. Wood or bamboo material is easy to clean and maintain and won’t quickly give in to exposure to water and moisture. Best of all, blinds made of wood look attractive. Finally, you can consider aluminium bathroom blinds since they are clean-looking and come in a wide range of colour options. They also are ideal for a room or space with water and moisture since they are resistant to rusting.